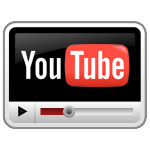 Braemac CA's collection of product videos, reviews, tutorials and manufacturer walkthrus. From Hardware to Software, Jetway is making a Leap for Innovation at 2018 Computex! The new IL017 ultralow-power isolator uses less than one-third the power of standard isolators, making it ideal for current loop to SPI interfaces. PCTEL is a leading global supplier of antennas and wireless network testing solutions for the wireless industry. We offer in-house design, testing, radio integration, and manufacturing capabilities for our antenna customers. 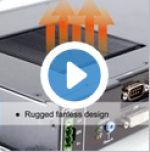 Watch the video to learn how we solve complex problems and support global wireless connectivity. PCTEL products can be found in applications including enterprise wireless networks, intelligent transportation systems, fleet management and asset tracking, utility smart grids, process automated factories, and public safety communications. SMART Package Manager and new Evaluation Kits are now available from DAVE Embedded Systems! This tutorial shows how to use SMART Package manager on DAVE Embedded Systems' BORA System On Module solutions. With this tool provided by the Yocto project it is possible to update and integrate the RFS just by a command line process thanks to the pre-build packages provided by DAVE Embedded Systems on its servers. 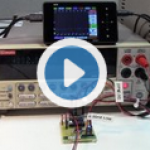 We demonstrate the world's most sensitive magnetic switch--the new AFL006--compared to a typical Hall effect sensor. With a typical total quiescent current of just 2.4 mA at 5 volts, the new IL2985 draws 80% less than other isolated transceivers. 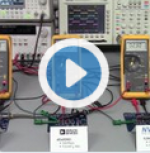 To prove they really are the world’s fastest isolated RS-485 transceivers, NVE’s Chris Olson connected two 40 Mbps evaluation boards with 10 meters of twisted-pair shielded cable. When the lab results were in, propagation delay measured just 96 ns for two transceivers, and about 33 ns of that was the speed of light through the 10 meter cable. That’s much faster than any competitive parts. Typical pulse skew is only one nanosecond, and the transceivers are also very well-matched—skew between any two devices is only 4 ns. FSP SFX power supply Dagger series is a DC-DC, fully modular, 80 PLUS Gold PSU. SFX power supply Dagger series is the best VR system power supply, ideal for HTC vive and other VR system. 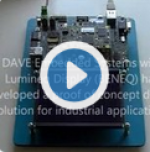 DAVE Embedded Systems with Lumineq Display (BENEQ) has developed a proof of concept display solution for industrial applications. Integrating cellular technology is easier than ever with Digi XBee Cellular. Digi Chief Innovation Officer, Rob Faludi, gives a preview of what’s included in the Digi XBee Cellular LTE Cat 1 Development Kit and how to get started with the small, cost-effective, and fully-certified embedded modem. Introducing Newhaven Display's new line of 7" BeagleBone Capes designed with 5-point multi-touch capacitive functionality for the BeagleBone Black. The following video will provide an overview of the products, the perks of the BeagleBone Black and a quick demo to start developing with one of these capes.